Carrie Fountain’s poems have appeared in Tin House, Poetry, and The New Yorker, among others. Her debut collection, Burn Lake, was a National Poetry Series winner and was published in 2010 by Penguin. Her second collection, Instant Winner, was published by Penguin in 2014. I’m Not Missing is her debut novel. Carrie will teaching First-year Seminar in Fall 2018. 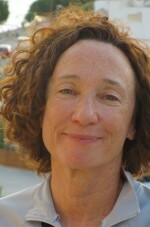 Jane Miller has been on the creative writing faculty of the University of Arizona in Tucson since 1987 and is the author of the poetry volumes Thunderbird, A Palace of Pearls, Wherever You Lay Your Head, Memory at These Speeds: New & Selected Poems, August Zero, and American Odalisque, all from Copper Canyon Press. Her honors include fellowships from the NEA and the Guggenheim Foundation, and she serves as advisor and jurist to numerous distinguished national book and poetry prizes. Who Is Trixie the Trasher? and Other Questions is forthcoming. Jane will teach a poetry workshop in Spring 2019. 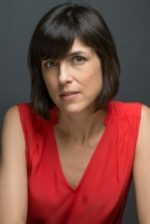 Claire Vaye Watkins’ book of short stories Battleborn (Riverhead Books, 2012), won The Story Prize, among other awards. In 2012 the National Book Foundation named her a 5 under 35 honoree. Her debut novel, Gold Fame Citrus, was published in 2015. 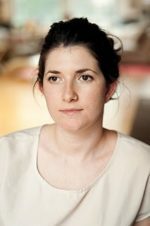 Claire will be visiting faculty in Spring 2019, teaching a fiction workshop and a literature studies course.